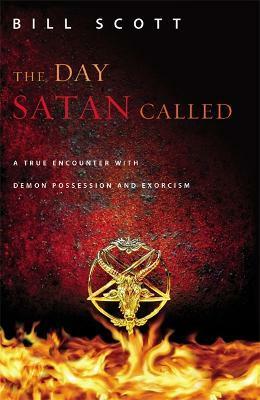 THE DAY SATAN CALLED is Bill Scott's account of an excruciating 18-month period in his life. Out of Christian love he and his wife invited a young lady who was demon possessed and the member of an active satanic network into their home. They prayed with her and naively believed that they could help redeem someone who had witnessed and experienced unimaginable abuses. What happened instead were death threats and the loss of their home as a sanctuary. Voices. Death threats. Objects falling and moving. Strange visitors and callers. A loving church falling into turmoil. And yes the voice of Satan. Every day was filled with the dread of nightfall. Once you've invited someone filled with demons that aren't leaving her into your home what do you do next? Where do you send her? How do you protect yourself and your family? What do you do after she's finally gone but the demons haven't left? Bill Scott is the President and Founder of Xtreme Youth Alliance and host of Xtreme Talk Live, a call-in show for teenagers. He is also host of Sound of Light, another popular radio show. Bill also writes a daily Bible study with 5000 subscribers and is a popular speaker with youth groups and on college campuses in US and around the world. He and his wife Janet reside in Spring Hill, Tennessee.